Get Caught Reading 2016 eBook now available! In my opinion reading should take an important part of everyone’s life as it expands the mind and horizons of individuals. 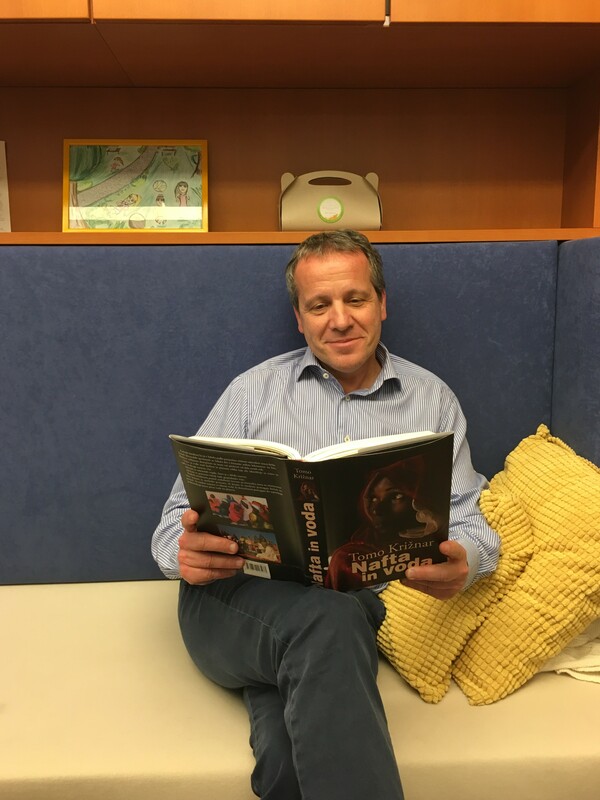 I have chosen Tomo Križnar’s book called Oil and water as he is one of the Slovenian most known fighter for human rights, who advocates for African people Nuba. Mr Križnar recalls in the book that wars for water between people and tribes help big foreign forces to exploit for wars for oil and other natural resources. Unfortunately, in Africa death is for free.